Welcome to Adept Design Pvt. Ltd. ! We, at ADPL strive to please our customers by providing them with an impeccable support system to help them grow their business with profitability for us the success lies in providing the best global solutions at the most competitive rates. We continuously upgrade our product range and make it dynamically competitive. Our sales team is a group of Knowledgeable, dedicated sales people. We create true partnerships with each of our manufacturers and have in-depth knowledge of all the products we sell. Each ADPL sales representative is a dedicated, single point of contact ready to assist you with everything from price quotes to product and program questions. Assigned to a limited number of accounts, each member of our Sales Team is focused on the growth of our customers. Our sales team receives extensive product training on a weekly basis, so you can feel confident that the information they provide is accurate and up-to-date. Xper is a leading Company encircling security like CCTV Solutions,Home solutions,Fire Detection Systems etc. Xper product offer superior performance with unique designs to give you ultimate & peaceful experience. LG Security Cameras are equipped with XDI Chip for Extreme clarity in any lighting conditions. 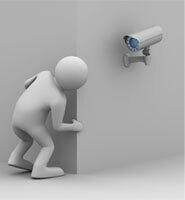 Merely installing a security camera can never guarantee foolproof security. GANZ offers complete end-to-end security solutions. We create true partnerships with each of our manufacturers and have in-depth knowledge of all the products we sell. Each ADPL sales representative is a dedicated, single point of contact ready to assist you with everything from price quotes to product and program questions.